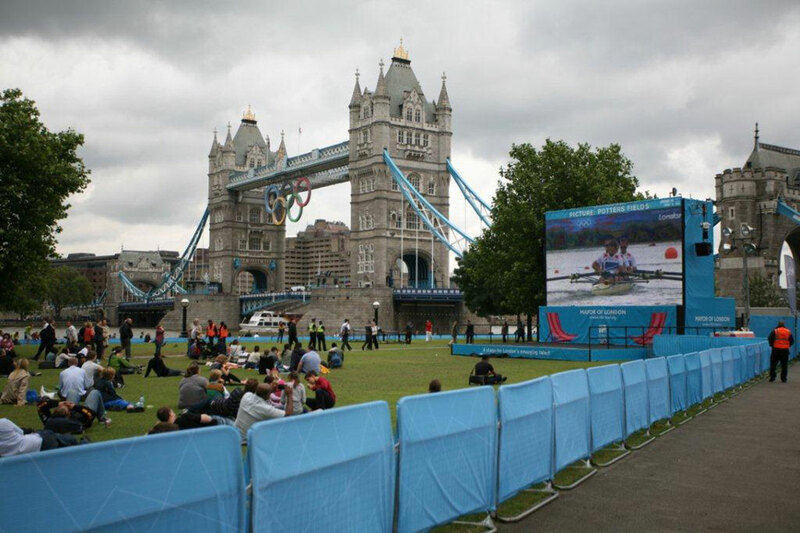 Media Structures can erect any temporary screen and support to suit any size of event. Using System Scaffolding, our team can erect any screen support, large or small, to suit any event, from a TV studio broadcast or a small conference, to a huge festival for tens of thousands of people. Our scaffolding can easily be reconfigured to fit most common screen sizes, but also allows for the flexibility to adapt when you require something different. As well as providing the required screen size, our creative team work closely with you to provide the perfect style of finish to suit the event. We regularly erect screen supports that are incorporated into a larger structure, such as a stage or tower. 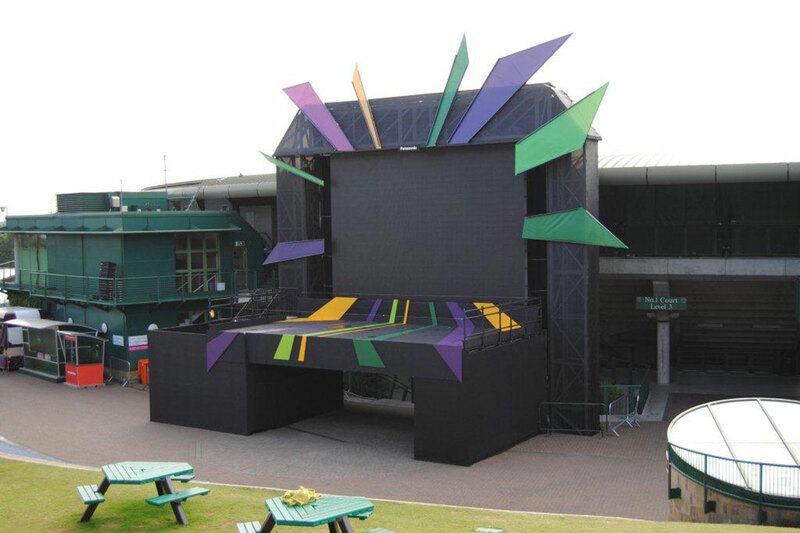 We can make sure that screen supports are finished in the right colours to fit the theme or branding of an event, or even incorporate the event brand or sponsorships into the structure. 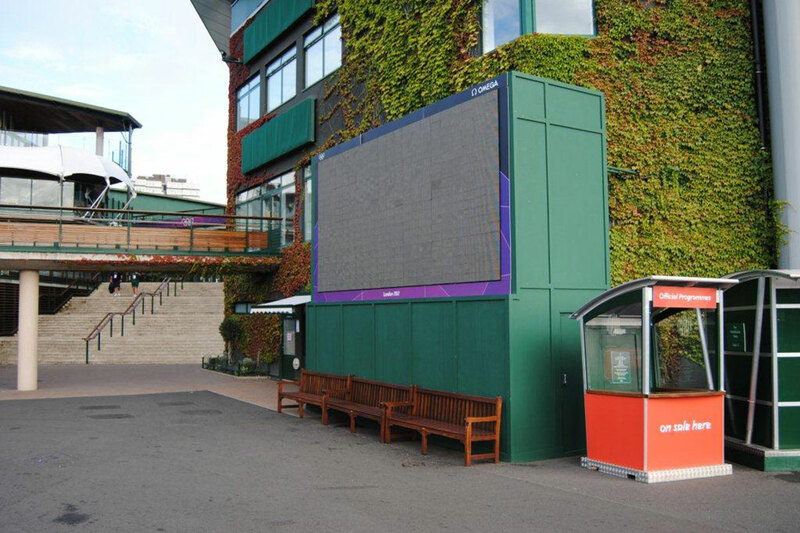 Media Structures have provided screens and supports at a number of TV Broadcasting events, including Big Brother, Wimbledon Tennis and V Festival. 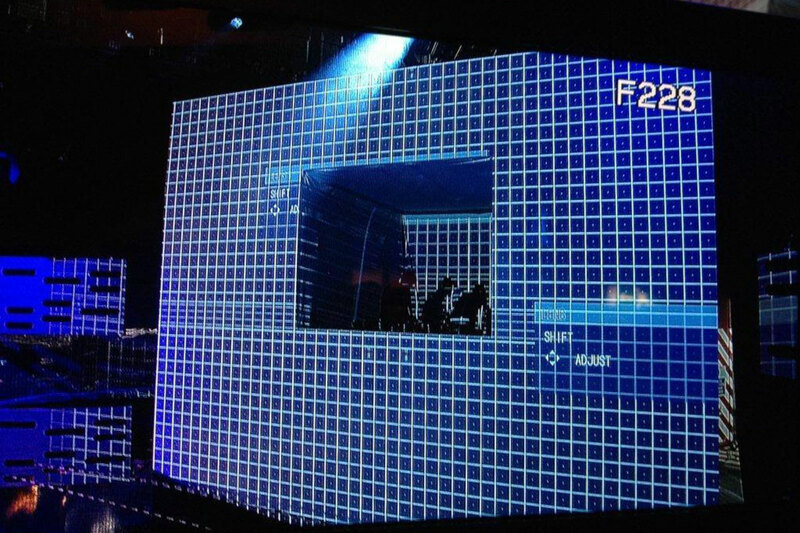 As well as providing a better view of events for large audiences, supports can also be erected for blue or green screens for broadcasting, allowing the coloured background to be replaced at the editing stage. We can provide blue and green screens of all sizes, allowing for a single actor or presenter, or multiple actors to perform in front of the screen, depending on the broadcast or scene they are shooting.